Washington, Dec 16 (IANS) US President Donald Trump’s administration is set to propose revoking a rule that makes spouses of thousands of H1-B visa holders eligible to work while in the US, potentially complicating a major driver of technology jobs, the media reported. Since 2015, the spouses of H-1B, or high-skilled, visa holders waiting for green cards have been eligible to work in the US on H-4 dependent visas, under a rule introduced by former President Barack Obama’s administration, CNN reported on Friday. The tech sector is a major employer of H-1B visa holders. But in a statement late Thursday, the Department of Homeland Security said that it intended to do away with the rule. However, the department did not explain its reasons in the announcement, saying that it was only acting “in light of” the “Buy American, Hire American” executive order that Trump had signed in April. While changing the rule would not prevent spouses of H-1B holders from pursuing other avenues for work authorization, it could deter a number of high-skilled immigrants from staying in the US if their spouses cannot easily find work. As well as dropping the rule allowing spouses to work, the Department of Homeland Security statement mentioned plans for other changes to the H-1B visa programme, reports CNN. They include revising the definition of what occupations are eligible for the programme “to increase focus on truly obtaining the best and brightest foreign nationals”, which would be a standard potentially far above what is currently understood under the law. It has continued to press the case following Trump’s election, and Attorney General Jeff Sessions has said in the past that the H-4 rule “hurts American workers”. The administration’s plans to overhaul the H-1B programme has caused particular alarm in India, which accounts for 70 per cent of all H-1B workers. 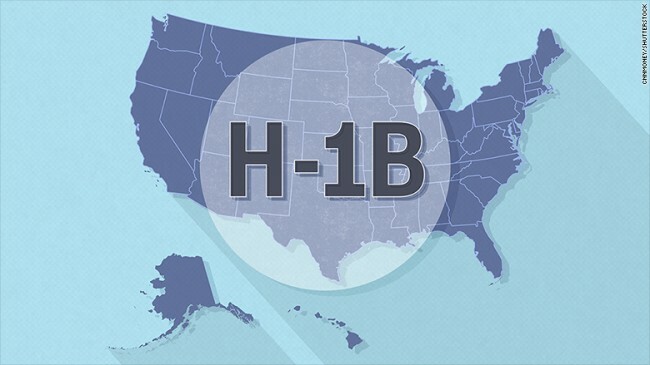 The H-1B is a common visa route for highly skilled foreigners to find work at companies in the US. It is valid for three years, and can be renewed for another three years. It is a programme that’s particularly popular in the tech community, with many engineers vying for one of the programme’s 85,000 visas each year.